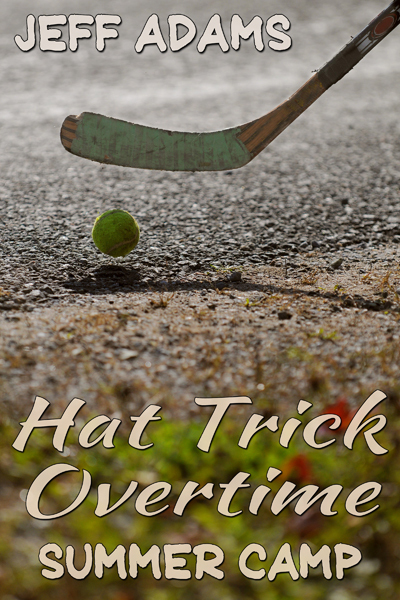 Simon and Alex, now between their junior and senior years at the University of Michigan, decide to put their jobs on hold for a month and take the opportunity to coach hockey at a summer camp for teenagers. They have a cabin full of good players to work with and the focus is getting them ready to win the camp championship. One camper, sixteen-year-old Dylan, requests extra help because he needs to get a scholarship and the guys make it their mission to help him succeed. With their best friend Leo along for the trip, Simon and Alex are set up for a great time at camp, until another coach tries to seduce them. How they respond to the unwanted advances, while balancing commitments to their campers, will put them both — and their relationship — to the test. This title is no longer available for purchase. “Simon, as many great summer trips as we’ve had, I think this might be the best one yet and it’s only just started,” Alex said right after he let go a contented sigh. Alex and I went camping every summer. We’d spend at least a week at a campsite, as far into the woods and secluded as possible. Just us, a tent, and basic provisions. It was a blast. For our fourth summer trip, we mixed it up big time and so far I loved it. Neither of us went to summer camp as kids, but this year we decided to spend a month working at camp.